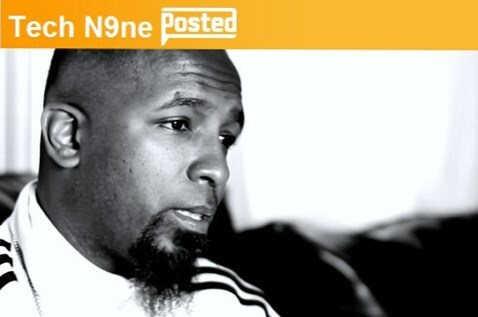 Before heading out on the record breaking “Hostile Takeover 2012” Tour, Tech N9ne will have the MTV spotlight on him as he is featured on MTV POSTED for the entire month of February. MTV’s POSTED features exclusive interviews, music videos, and live performances from select artists for an entire month. Past featured artists include T-Pain, Snoop Dogg, Linkin Park, and Avenged Sevenfold. Exclusive features from Tech N9ne include videos from inside the Strange Music HQ in Kansas City and several live performances along with music videos. Be sure to keep up with Tech N9ne for all of February on MTV POSTED! Click here to visit Tech N9ne on MTV POSTED. What do you think about Tech N9ne’s placement on MTV POSTED? Have you watched the exclusive videos yet?